It is one of NYC’s most talked-about new developments with over 750,000 sq. ft of mixed-use commercial/industrial space. Following a waste audit investigation, Great Forest identified key problems with the waste and recycling program at one of its buildings. This flaw was preventing the building from operating efficiently, and costing it dearly. 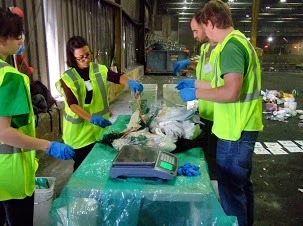 Not only was it paying far too much for waste that was not being managed properly, but it was also putting the building’s zero waste ambitions out of reach. The solution? Read the case study to see what we discovered, and how our recommendations will help the building cut its waste removal costs by as much as 75%, while increasing its diversion ratio by 30%, and bringing its overall recycling rate to over 50%.